Fully gaining the benefits of the Toyota Production System requires a full transfer of Toyota’s practices and methods, including several factors unique to Toyota which are often forgotten. This article is the full version from published material written for the Harvard Business Review (HBR). 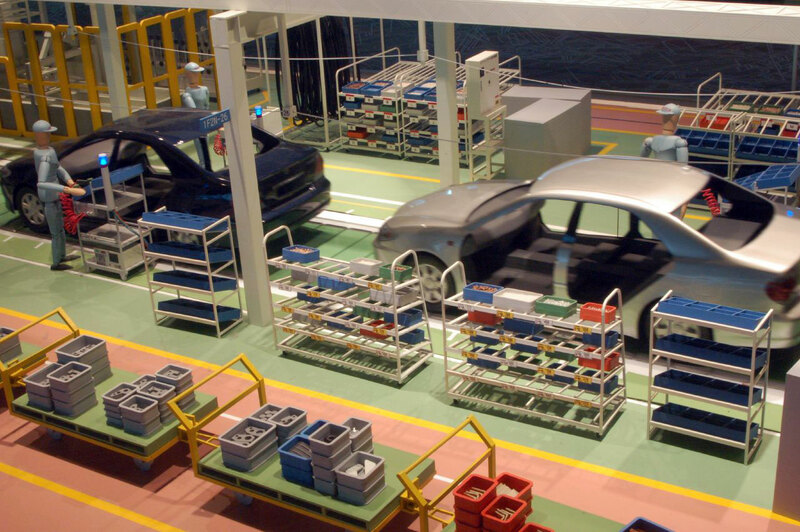 Fully gaining the benefits of the Toyota Production System requires a full transfer of Toyota’s practices and methods, including several factors unique to Toyota which are often forgotten. This article is the full version from published material written for the Harvard Business Review (HBR). While many companies attempt to implement the Toyota Production System (TPS), they often fail because they do not realise that you need to put the entire system in place, and not just bits and pieces of it, to gain the same type of culture and process improvement that Toyota can boast of. Even in the toughest economic conditions, Toyota rarely ever lets go of their employees. In fact, unless you've done something very bad, it is almost impossible to be made redundant by the company. They would rather take a pay cut across-the-board rather than firing anyone, even in an economic crisis. Toyota believes that any crisis is cyclical, and eventually demand will return. The time and money needed to retrain new workers in the skills and culture of Toyota, and getting their buy in takes years, so it simply isn't a matter of rehiring people in. In other words, Toyota approaches their workforce with respect, assuming they have skills which is valuable to the company. The second point links directly into the first. Unlike other firms, Toyota's approach to Kaizen involves and encourages making mistakes, so that people learn what works and what doesn't. Because of "life-time" employment, people do not fear reprisal because an idea they developed and implemented did not have the effect they had originally intended. As a result, people dare to propose and implement new ideas. Lastly, front-line workers have an intrinsic knowledge of the processes they work in, and thus are able to make competent improvements. On another level, their managers also have knowledge of the process, but not through numbers, but by also going down to the floor to observe work, and problems for themselves. This is basically what the concept of genba-genchi-gembutsu is all about, and this also contributes to how Toyota avoids bad decisions from top management, because management themselves understand the issue first-hand. The latter is often ignored, but it is an essential part of Toyota's success. There is an excellent case study on genchi genbutsu here, and its use proved to be the key factor in helping Toyota win a large contract.